Welcome to MS Livebearers... and more!! We are dedicated hobbyists that enjoy sharing our aquarist passion with the world!! MS Livebearers is all about getting our high quality fish to you, our fellow hobbyists! 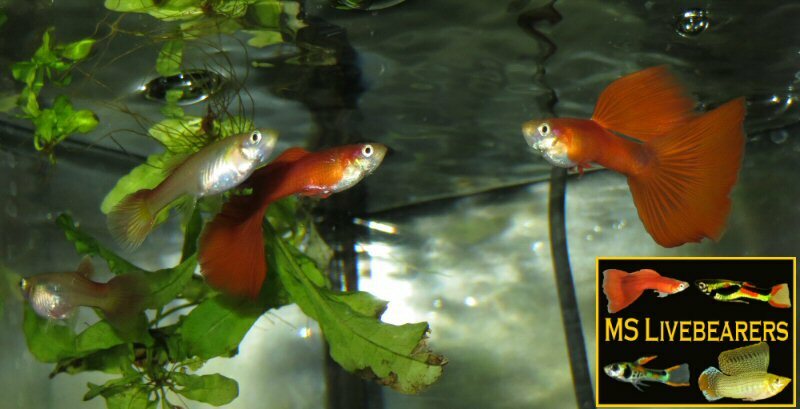 So please, take time to explore our site and see the variety of fish we have to offer, as well as some information on different livebearer breeds. Established in 2008 and run by Mike, MS Livebearers has over 20 years experience in keeping and breeding fish, especially livebearers! We are based just south of Omaha near Plattsmouth, NE. Feel free to contact us on any questions you may have!